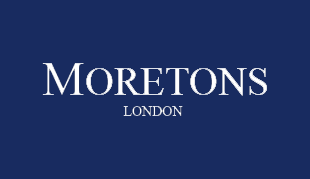 Moretons are a multiple award winning residential property expert, covering Westminster, Pimlico, St James, Chelsea, Belgravia and the Central London area. We have a range of stunning properties for sale and let across central London. We always provide a professional service achieving the best results for our clients. Here at Moretons Estate Agents, we are totally committed to customer service and ensuring our staff are trained to the highest industry standards. It is our aim to help you find your dream home to buy or rent in the SW1, Westminster, Pimlico, St James and Belgravia area. At Moretons, we provide meticulous Sales, Lettings and Property Management services across SW1 and Central London. Our experienced agents will be on hand to advise and provide you with support when you need it. Moretons have been providing Sales and Lettings services in Westminster, Pimlico, St James, Belgravia and Chelsea since 1992. To see what our customers say about us please click here to see our testimonials. If you have any questions for our Estate Agents, get in touch with us today by calling our Westminster office on 020 7932 0101 and we'll be more than happy to assist you.